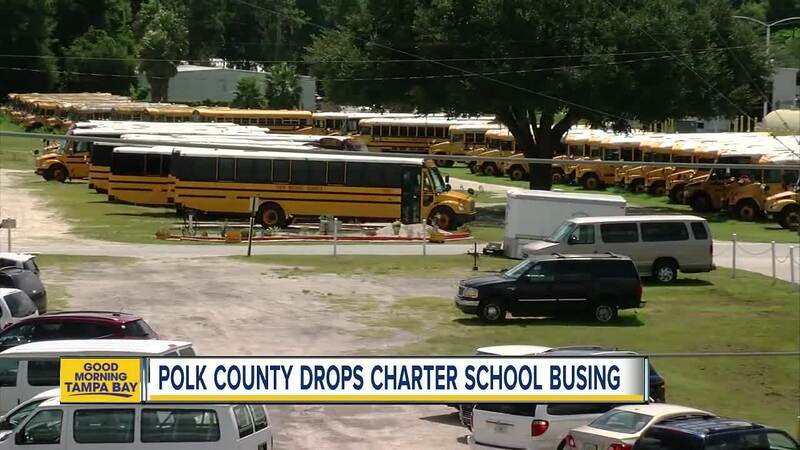 Polk County is dropping charter school busing. On Tuesday night, Polk County school board members decided to stop bus services for charter schools. According to their website, this decision would affect 30 schools. Board members say this plan will save them money and maximize resources. Get more information here. They attribute this change to the bus driver shortage they've had since the beginning of the school year. In August, they had 62 openings. This caused students to be late for school almost on a daily basis. The board ramped up efforts to hire drivers, even changing the education requirements to apply. At last check, the district still needs 14 drivers. Another cut could come down the pipeline. School board members are weighing the option to end courtesy bus services as well. This would affect students who live within a two-mile radius of their school, but the district will review each route on a case by case basis.